Let’s face it, good pitching usually beats good hitting. Now, when the most talented pitchers in the country take the mound it becomes extremely tough for hitters. That was evident this spring, as noted below in brief recaps of highlight outings from the high school season. We had a extra inning potential perfect game spoiled by only an error, a trio of post-season no hit outings, and a pair of 6-foot-7 left handers in top form. In a March outing, Kyle Molnar (Aliso Niguel HS – Aliso Viejo, CA) did all he could to pitch a perfect game. Through 8 innings, he allowed no hits, issued no walks and struck out ten. An error behind him was the only blemish on an otherwise perfect performance. In a Texas state playoff game, Luken Baker (Oak Ridge HS – Spring, TX) struck out 13 in a seven inning no hitter. As if that wasn’t enough, he also hit a pair of two-run home runs to help his team advance. A pair of aces came up with championship game no hitters. 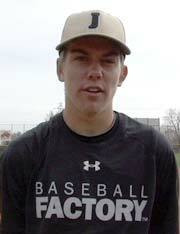 Ashe Russell (Cathedral HS – Indianapolis, IN) fanned 11 and allowed no hits in the City Championship game. He later collected Indiana Gatorade Player of the Year honors. In the 2014 Florida Class 3A Baseball Championship Cole Sands (North Florida Christian HS – Tallahassee,FL) worked four perfect frames – allowing no hits and no walks. 6-foot-7 left handed pitchers are indeed rare, and when they have their best stuff it’s rare for hitters to have any success against them. Justin Hooper (De La Salle HS – San Ramon, CA) allowed only one hit in 5+ innings of work in the NCS Division I championship game, a game his team won 6-2. During the regular season, Hunter Bowling (American Heritage Delray – Lake Worth, FL) recorded six of nine outs via strikeout through three innings of no hit baseball. Cole McKay (Smithson Valley HS – Spring Branch, TX) tossed a no hitter against Canyon HS, while Juan Hillman (Olympia HS – Winter Haven, FL) no hit a team that later advanced to the state playoffs.